If you are looking for a beautifully maintained community with lots of special features including a clubhouse, community pool, outdoor entertaining facilities, playground, exemplary rated elementary school within walking distance, and fantastic social events for the entire family, then look no more...you are home! The Homestead of Carrollton celebrates Independence Day with an annual parade and party. We are in the city of Carrollton, Denton County and Lewisville Independent School District. The elementary school bordering the neighborhood is Homestead Elementary. 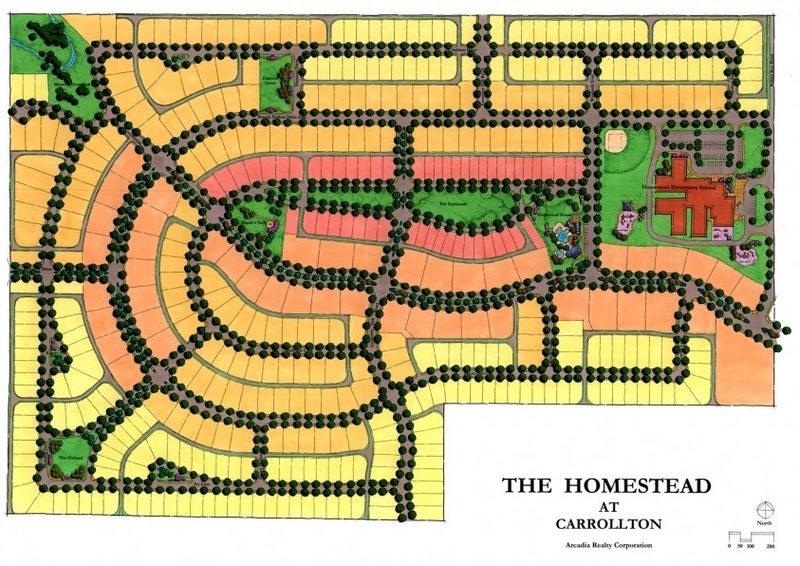 The Homestead at Carrollton began housing construction in 1998 completing the community in two phases. Builders David Weekley, Ryland and Cambridge, and Caldwell Family Builders devised Phase I with LRK Architects, and DR Horton for Phase II. Homeowners are members of our manditory Homeowners' Association (HOA) paying dues on a quarterly basis. Funds go toward common area watering, community pool and Clubhouse upkeep, neighborhood events (as seen above), and other HOA administrative functions such as billing and home exterior inspections. The result is an attractive housing community that values neighborly companionship and desirable property values.